Many business owners looking to launch, or expand their social media presence, quickly find out that only interacting with one platform is not the best strategy. Instead, they branch out, join all the major platforms and quickly find that each is vastly different and can be a challenge to master. For those using Twitter, here are 10 best practices that can help you get the most out of it. Keep posts on the shorter side – This may seem ridiculous, after all there are only 140 characters allowed per tweet, but keeping tweets short allows users to add their own comments and ideas when they retweet. Try keeping your tweets below 100 characters. Twitter is not about promotion – Studies have proven that tweets that promote a company or product don’t usually do as well as messages that are more conversational in nature. If you want to ensure maximum interaction, aim for a mixture of tweets that consists of about 80% conversational and 20% promotional. 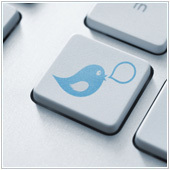 Know what time to tweet – Each market is different, so take the time to research tweeting habits. If you see that the majority of your target audience is active during after-work hours, then it would make sense to tweet when they are more likely to be online. Remember, many Twitter users are connecting via their mobile devices, so you are probably better off tweeting during lunch hours, as well as pre- and post-work. Know what days to tweet – Much like knowing what time to tweet, it is a good idea to also know which days are best to tweet in order to maximize engagement. For example, if you are trying to interact more with other businesses (B2B) then it is best to tweet on days when the companies are open and an owner or manager is more likely to be looking at business systems and social accounts. Customers, however, are usually more receptive to messages on days when they aren’t working e.g., Saturday and Sunday. Use hashtags – Hashtags in Twitter allow for categorization and make tweets searchable. For example, if you use the hashtag #fresh in a tweet and then search for ‘fresh’ on Twitter, you should see similar posts using the same hashtag. Use hashtags sparingly – There is a common trend in social media to use hashtags for nearly every word. This makes posts difficult to read and usually leads to people not sharing or retweeting your content. Instead, try to work one to three hashtag, at most, into your tweets naturally. Realize Twitter moves fast – The average trend on Twitter lasts about one hour, to one day. So, if you see a trend developing or beginning, act quick to join the conversation. Posting after the trend has faded will usually lead to tweets being ignored. Don’t act on every trend – Trends come and go so quickly on Twitter that it can be tempting to try to jump on each one, or as many as possible, in order to get your message out to as many people as possible. However, not every style and subject will be relevant to your business. By shoehorning content to fit trends you could come across as insincere and lose interest from followers. Watch who you follow – Following people is one of the quickest ways to grow your own follower base – usually because users will follow those who follow them. But, when it come to business, you want to be sure to follow users who are relevant. For example, follow your customers, strategic partners, and even competitors. Following Twitter users who aren’t relevant to your business is not going to get your messages read by the right people. Keep an eye on Twitter – In order to effectively spot trends and see what your target market is saying, it is worthwhile to use a program like Tweetdeck, which allows you to see all tweets, track hashtags, topics, and more. If you would like to learn more about using Twitter in your business, contact us today to see how our services and solutions can boost your social media presence.